CCNBB Awards $109,000 in Grants – The Community Chest of New Britain and Berlin identifies and invests resources in programs that benefit the New Britain and Berlin communities. (July 15, 2015) The Community Chest of New Britain and Berlin, a supporting organization of the Community Foundation of Greater New Britain, recently awarded a total of $109,000 in grants to seven local nonprofit organizations and programs. Boys and Girls Club of New Britain: An $11,000 grant to fund the Performance Leadership & Unified Service (PLUS) Initiative. 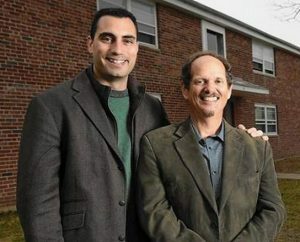 Friendship Service Center of New Britain: An $18,000 grant to support the Center’s Emergency Shelter and Community Kitchen. Greater New Britain Teen Pregnancy Prevention: A $20,000 grant to maintain and enhance the program’s Violence Prevention and Family Outreach components. Hospital of Central Connecticut: A $20,000 grant to support the Medical-Legal Partnership Project to improve health outcomes for low-income and other at-risk children. Klingberg Family Centers: A $10,000 grant to support the Positive Parenting Program. Nutmeg Big Brother Big Sisters: A $10,000 grant to support NBBBS’ Community-Based Mentoring Program in New Britain and Berlin. Prudence Crandall Center: A $20,000 grant to support the Center’s Community Education and Prevention Services.